Everyone wants to climb on the smartwatch bandwagon. What that means is consumers like us end up with a lot of Apple Watch or Android Wear wanna-be’s made by names you’ve never heard of. 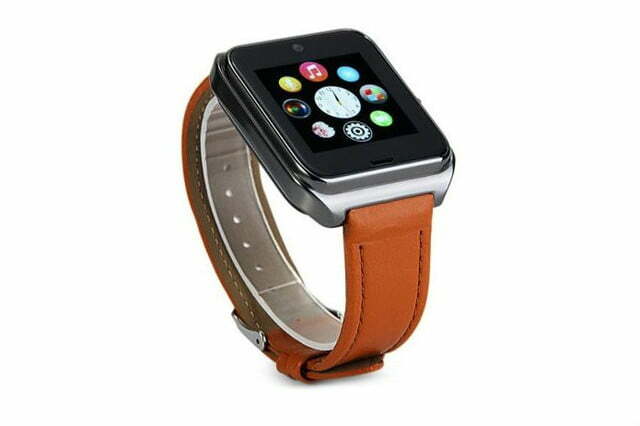 The latest of these making news is the NT08 Smart Watch Phone from Gearbest. Never heard of them? Well, neither had I. 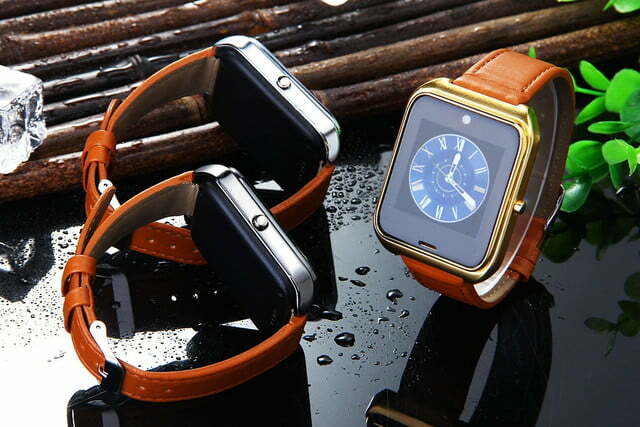 The NT08 is by no means a real Apple Watch or Android Wear competitor. It doesn’t have half the reach of the two big players, but it’s also less than $40, compared to between $100 for an Android Wear and as much as $700 for an Apple Watch. The features aren’t bad. The NT08 lists a pedometer, 32GB SD and SIM card slots, Bluetooth, and a 1.54 inch 240×240 TFT touchscreen. So, its screen is a little smaller with a lower resolution than the big names, which are around 1.56 and up. On the other hand, the card slots are handy. In what must be an effort to keep up with the pack, it also has a .3 megapixel camera for stills and video. While that contributes to the NT08’s overall value, photos taken at that resolution are probably only for emergencies. We suspect the images will look like photos of Bigfoot. It’s unclear where you can get apps for it, and perhaps to compensate, the NT08 comes with a messenger, sleep monitor, alarm, FM tuner, mp3 player, sound recorder, sedentary reminder, calendar, and calculator. These are the bare-bones apps you’d expect from a smart watch, but considering the budget that’s not bad. There’s also an anti-theft tracker that sets off an alarm if your phone strays too far away. 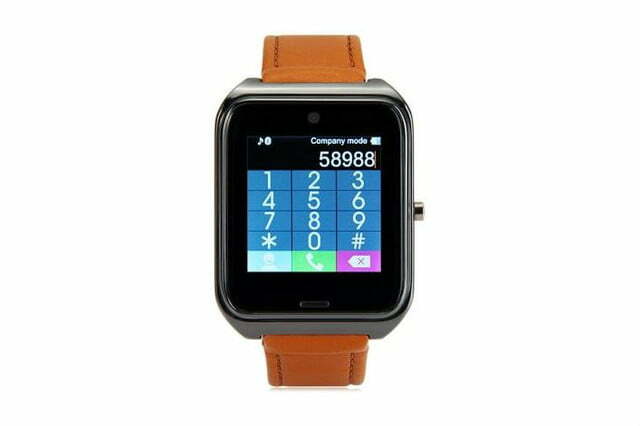 The NT08 smart watch phone functions on 850, 900, and 1900MHz GSM networks, and it comes unlocked. To translate, that means it won’t work with Sprint or Verizon, but should work with AT&T and T-Mobile. 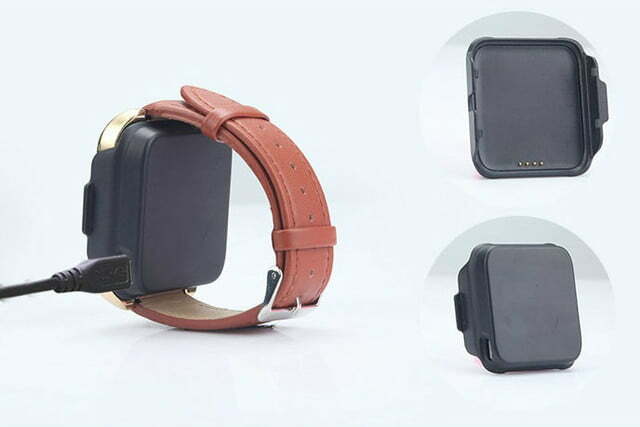 Make sure you have a good bluetooth headset if you want to use your watch as a phone. Though it does have a mic and speaker, the Michael Knight thing is only cool if you’re the Hoff. Its 350mAh polymer battery is decent, boasting 180 hours of standby time. By comparison, the Samsung Gear S has a 300mAh battery to run way more features. Smartwatches that do more die faster, and some of the more expensive ones only last about a day. 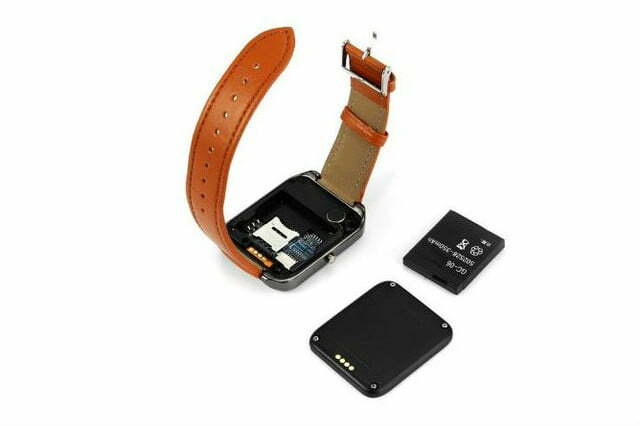 Some of the shiny big-name smart watches can charge wirelessly, but the NT08 charges via micro USB holder. At least that makes for easy interchangability with all the chargers lying around the homes of most Android users. You’re thinking, “but what if it’s junk and melts the first time I wash my hands with it on?” We’re thinking the same thing, but it has an IP67 rating, which means you can swim with it, but no scuba. The NT08’s water-resistant shell comes in three colors, black, silver, and “local tyrant’s gold.” That last is a definite bad marketing call. We’re still suspicious of the junk factor. The fact is we’re not sure about the hype surrounding the NT08. The stats are good considering the price, but the reason we’re often willing to plunk down more hard-earned cash for brands we know is more than the fact that those big-name companies — in some cases — innovated the technologies. It comes down to brand trust. We recognize the brand names, have experience with their products and, let’s just admit, may get mesmerized a little by the advertising. NT08 garnered a lot of fuss, but it’s not clear yet if it was warranted. The Gearbest website on which the NT08 is offered seemed to me like a random site hocking imitation electronics mixed in with some brands that have established a name for themselves, like Xiaomi. Some would say sifting through this website is like cleaning your cat’s litterbox — you’re not going to come up with anything good. In any case, it’s left to the consumer to look past the poor translations in the description and try the NT08. It’s marked with a year-long repair warranty. It, and the other smartwatch phones like it on Gearbest, could be a great deal. Hopefully they won’t die on day 366. In any case, it won’t cost you more than a night out to find out for yourself.